The best way to protect yourself from being a victim of auto crime is to take a proactive approach. Always take the necessary steps to ensure your vehicle is safe, secure and will not be seen as a target of a crime of opportunity. Make sure your vehicle doors are always locked and secure. Thieves target vehicles by checking to see whether doors are locked or windows are rolled up. It is a very simple thing to do, and it can be incredibly beneficial in protecting your vehicle. This is why we encourage you to ‘Check Your Doors Before They do’. 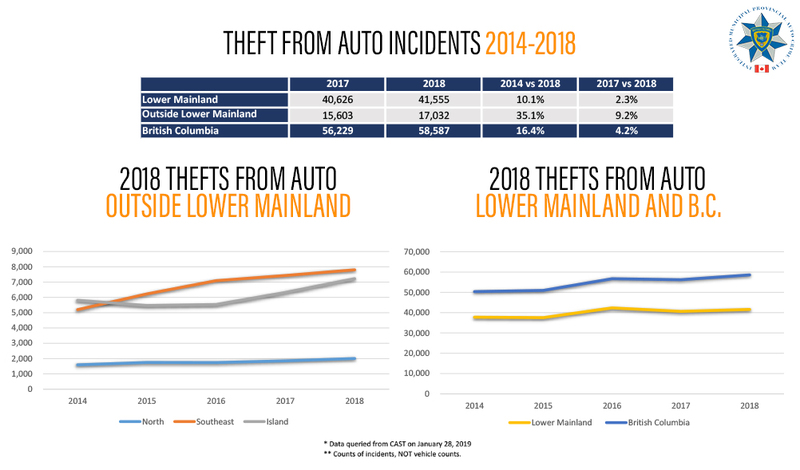 The statistics from 2018 show a 4.2 per cent increase in theft from auto across British Columbia with more significant increases outside of Metro Vancouver. 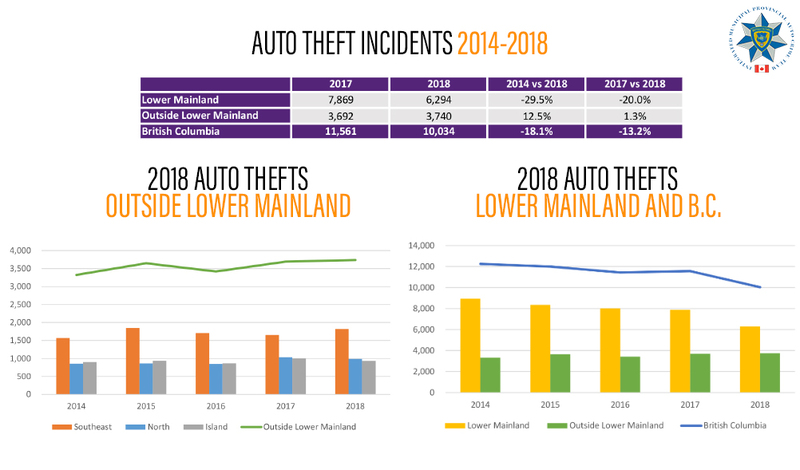 While auto theft across British Columbia decreased by 13.2 per cent in 2018, we still have an opportunity to reduce crime. IMPACT is encouraging drivers to combat preventable thefts with proactive measures like the ‘9 pm Routine’. We ask vehicle owners to check on their vehicle each night at 9pm to ensure it is safe, secure and all measures are made to avoid being a victim of auto crime. Criminals continue to target vehicles for items like: smartphones, personal electronics, sunglasses and cash, but there is always a larger concern with items that have far reaching effects. For example, garage door openers, stolen from a vehicle may be used to gain entry to your home at a later date. Personal items and documents left behind can lead to identity theft. Removing all valuables from your vehicle while leaving nothing in plain sight can prevent a potential thief from targeting your vehicle. If they walk past your vehicle and see nothing to target, they are more than likely to move past it.